Turn ideas into stunning visual stories in minutes. 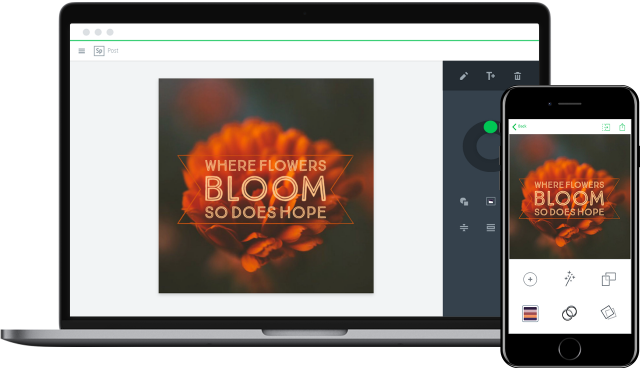 Adobe Spark makes it fast and easy to create graphics, web pages, and video stories anywhere. 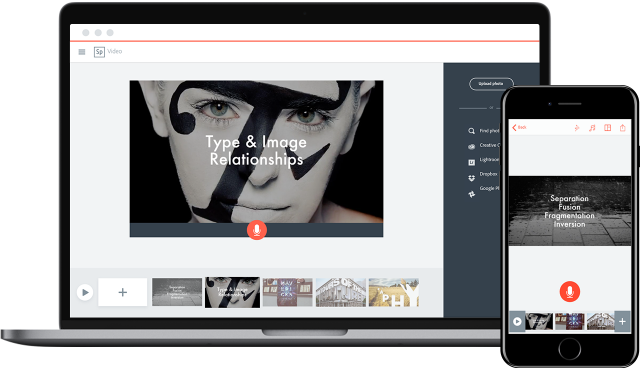 And Adobe Spark with premium features — now part of any Creative Cloud plan — lets you add your brand to make anything you create uniquely yours. Spark Post lets you turn your text and photos into a professional-looking, attention-getting graphic. 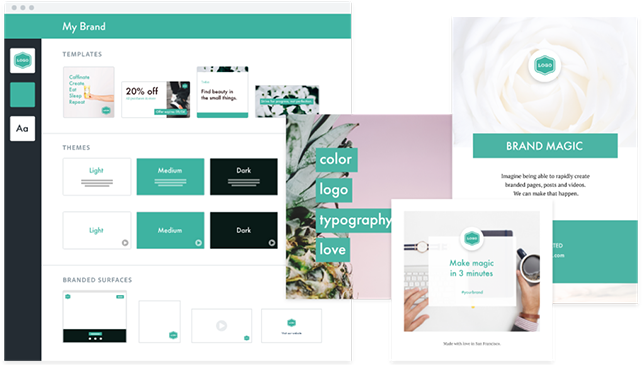 Simply pick a design template, add your photo and text, and quickly resize your creation to fit your favorite social media site or blog. 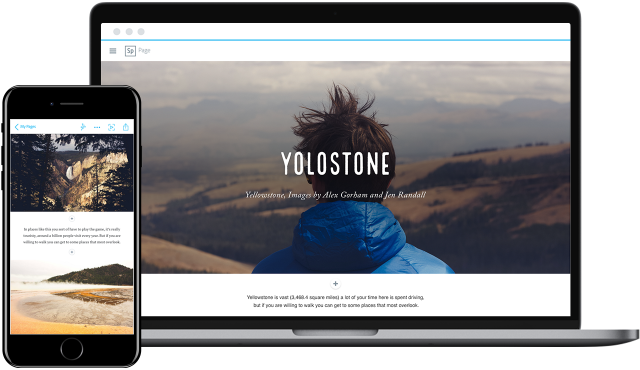 Transform words, images, and videos into dynamic web stories with Spark Page. Select from a wide variety of curated designs, add your content, and you're done. Put a unique twist on anything — a book report, weekly newsletter, or your latest travel adventure. 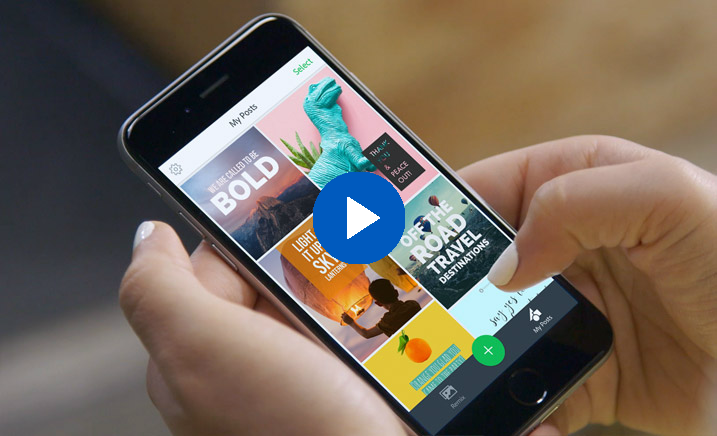 Spark Video makes it easy to combine video clips, photos, icons, and voiceover — plus cinematic motion and professional-quality soundtracks — to create compelling video stories. It's big-impact communication that takes just minutes to create. Create branded stories to make your ideas stand out. Now part of any Creative Cloud plan.